Professional and respectful. Those are two of the words our patients use to describe our Sedona and Cottonwood family dentistry and it begins on your first visit. Our team of highly skilled dentists work with each patient – young or old – to develop a personal relationship, become familiar with your dental and general health history, and then build a customized plan that will help you achieve the smile you deserve. Whether you are in need of general dentist services like teeth cleanings or fillings, or you are looking to improve your smile with cosmetic dentistry services, we pride ourselves in providing expert care while maintaining a fun and family-friendly office environment. Your first visit to our Cottonwood dentist office will probably last around one hour. 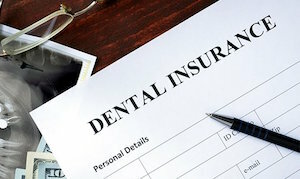 On that visit, one of the first things the staff at AZ Smile Designers will ask of you is to complete some initial medical and insurance forms. By completing these patient forms before your appointment will allow our dentists to get to know a little more about your dental and general health history. To help us know you even better, try to bring with you any dental panoramic X-rays taken within the past six months. Also bring your dental insurance card, if you have one. One of our dental hygienist will likely clean and polish your teeth during your first visit. And, our expert dentists will examine them. 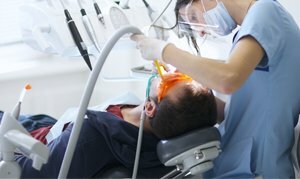 This thorough exam will include oral X-rays which will allow your Cottonwood dentist to examine your mouth for tooth decay, common periodontal problems, jaw problems, and any signs of oral cancer. Having these diagnostic records will help your dentist evaluate any existing dental problems and tailor a treatment plan to fit your needs. We firmly believe that good dental care relies on open communication. Your first visit will also allow time for us to get to know each other and for you to ask questions. We want to make sure that you understand any treatment plans and encourage you to ask questions so we can discuss any concerns you may have. We promise to speak candidly with you about our diagnosis and treatment recommendations, outline possible alternative treatments, and discuss any symptoms present that may require treatment from a specialist. We want to work with you to achieve one goal— keeping your smile beautiful and keeping your teeth, gums, and jaw joints healthy! You can help us make your first visit go smoothly by printing and filling out the following form at home and bringing it in to us – this will help us insure that your first visit goes as quickly and comfortably as it can! Call Your Family Dentist In Cottonwood Today! If you’re ready to check out the difference AZ Smile Designers can make in your smile, give us a call today at our Cottonwood office and make an appointment for your first visit. We also have an online appointment request form to accommodate your busy schedule. We look forward to providing the services you need for great oral health and a beautiful smile! Call today!